New US Deal – Six, Count ’em, Six Books! Hot on the heels of yesterday’s announcement, I can reveal that I’ve just agreed a six-book deal with US publisher Pyr. The highly-acclaimed SF and fantasy imprint will publish the first of my epic Elizabethan fantasy sequence, The Swords of Albion, in Fall 2009, with books two and three in subsequent years. Pyr has also acquired the rights to my British Fantasy Award-nominated Age of Misrule sequence. The three books â€“ Worldâ€™s End, Darkest Hour and Always Forever â€“ will be published in Spring/Summer 2009. 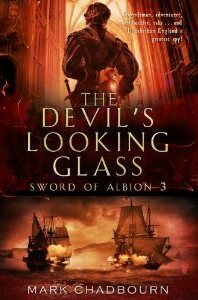 The Swords of Albion, which will be published in the UK and Commonwealth by Transworld, follows Elizabethan Englandâ€™s greatest spy, Will Swyfte â€“ adventurer, swordsman, rake, swashbuckler, wit and scholar. The Age of Misrule deals with the return of the Celtic gods to modern day Britain and is steeped in the mysticism and mythology of the Isles with an edgy modern take â€“ from Fabulous Beasts firebombing the rush hour-packed motorway outside London to the ancient secrets of Avebury stone circle. 0 Responses to New US Deal – Six, Count ’em, Six Books! Awesome news Mark! I loved your story in the Solaris Fantasy anthology and I’m looking forward to seeing your books here in the States! Hi, Mark — ‘You heard the news yet?